Mexican Bitcoin Exhange Bitso has officially launched as the first Ripple Gateway in Mexico. Bitso will be the first issuer of Mexican Peso (MXN) balances on the Ripple Network. The company intends to use the unique characteristics of the Ripple network and protocol to tackle the remittance market between Mexico and the US. Bitso is a Mexican-based provider of cryptocurrency services, including remittance facilities and consultation. The company has offices in Mexico City, Puebla and Vancouver. The intention with becoming a Ripple gateway is to extend service offerings available to its clients. Through the Ripple network Bitso will enable its clients in Mexico to send and receive value to or from anywhere in the world instantly, at negligible cost. This includes Mexican pesos, bitcoins and U.S. dollars. In addition to directly facilitating the creation of a US-Mexico corridor on the Ripple network, this latest development will enhance the functionality of the Bitso Bitcoin Exchange, allowing for easier funding of accounts and boosted liquidity. Bitso is a member of the IRBA (International Ripple Business Association) and is an issuer of XBT (bitcoin) balances, with more currencies to follow in due course. Ripple is a sometimes misunderstood and hotly debated piece of open-source technology. The protocol provides for an asset agnostic, distributed payment system. It enables near free and instant payments with no chargebacks. For this reason it offers functionality that is appealing to many businesses in the space, including Bitso. Ripple is engineered so that businesses of any size can easily build payment solutions, such as banking or remittance apps, and accelerate the movement of money on the network. The stated aim of Bitso in this implementation is to enable the world to move value in the same way that it moves information. Ripple is still in beta, but it has been gaining momentum in 2014. With the addition of Mexican Peso’s on the system, through the Bitso gateway, traders and platform users will benefit from the addition of this new unit. For those new to Ripple, Gateways are organizations that help move money in and out of the Ripple network. They are the interface between the legacy financial infrastructure and the Ripple network. Once as user signs up with a gateway the can deposit money into their Ripple Wallet and begin using Ripple’s payments and distributed currency exchange. Once money is moved in through a gateway it moves around as a debt instrument, or IOU, of the trusted Gateway. 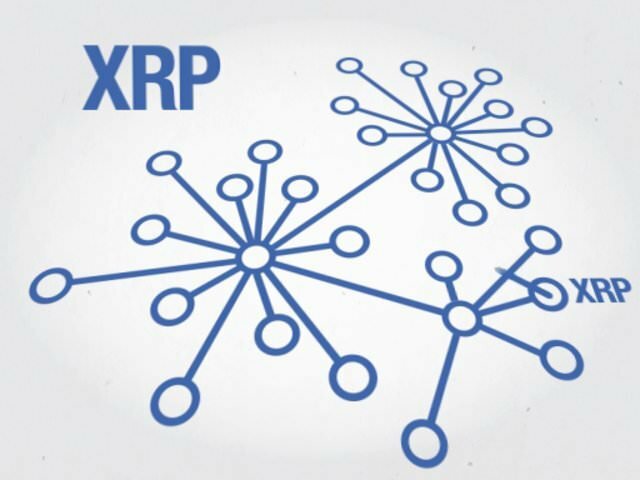 XRP are the only native asset of the network. All other instruments are debts of a gateway issuer, for redemption through a trusted gateway. It is Gateways like Bitso that allow the protocol to function as instrument agnostic and interface seamlessly with the ‘real-world’. Like all other networks, Ripple benefits from the positive network effects that come with additional participants and gateway providers offering new and unique currencies, assets and instruments. Bitso will also benefit from the unique characteristics on the Ripple network. With proper practice and implementation, those remitting funds will also benefit from lower costs and the greater ease of use that comes with turning all assets into information. In reality, bitcoin’s value proposition is real and exists regardless of any individuals opinion within the ‘bitcoin community’. It is this utility that will surely continue to see it adopted as a technology by businesses, going forward.